June 30, 2018 – After much anticipation, the 11 acre (44,525 m2) expansion to Disney’s Hollywood Studios opened to the public at Walt Disney World. 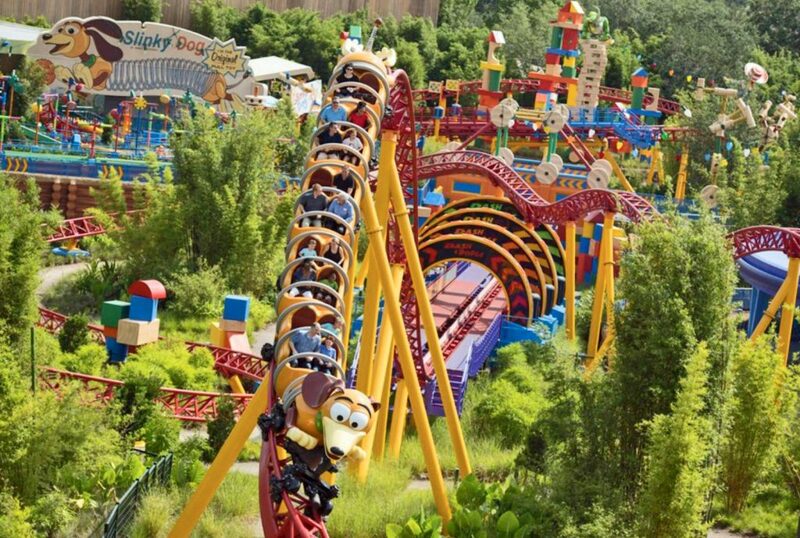 Themed as Andy’s backyard from the Toy Story films, Toy Story Land features two new attractions: Alien Swirling Saucers, a classic whip style ride, and Slinky Dog Dash, a Mack Rides double launch family coaster. In addition to the new attractions, Toy Story Mania, Disney’s Hollywood Studios’ popular ride that opened in 2008, has been given a new entrance from Toy Story Land to incorporate it into the area. Rounding out the additions are two Green Army Men interactive experiences, Drum Corps and Boot Camp, as well as Woody’s Lunch Box, a dining location featuring classic American dishes and an old-fashioned soda fountain. 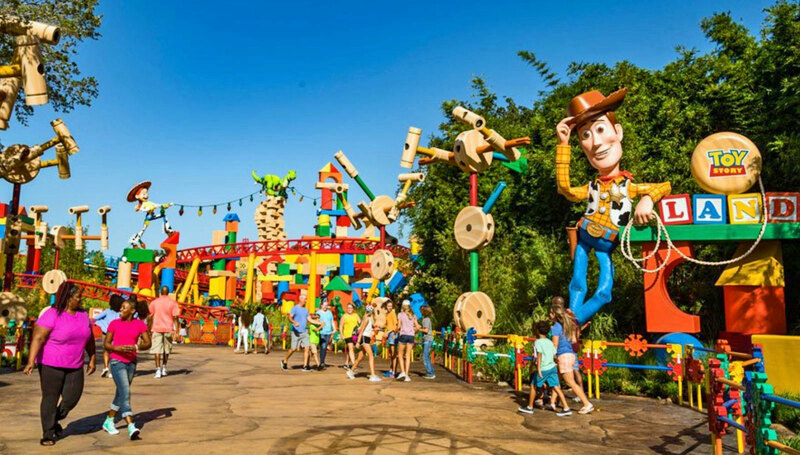 Throughout Toy Story Land visitors walk between giant toys and other over-sized objects to create the rides and buildings, giving guests the feeling of being the size of a toy. 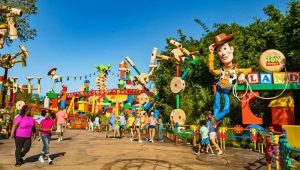 This is the fourth Toy Story land to open following the first at Walt Disney Studios Park in Paris (2010), Hong Kong Disneyland (2011) and Shanghai Disneyland, which opened in April. Slinky Dog Dash launches over an airtime hill. See what our members are saying about the expansion in our Forum discussion. This entry was posted in News and tagged Florida, Hollywood Studios, Orlando, Slinky Dog Dash, Toy Story Land, Toy Story Mania, Walt Disney. Bookmark the permalink.